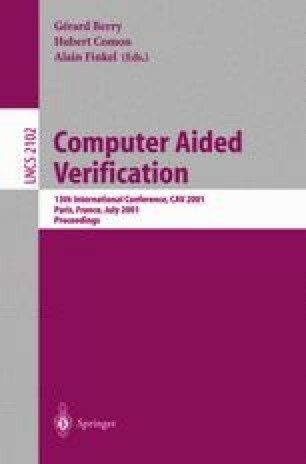 Automated Verification of a Randomized Distributed Consensus Protocol Using Cadence SMV and PRISM? We consider the randomized consensus protocol of Aspnes and Herlihy for achieving agreement among N asynchronous processes that communicate via read/write shared registers. The algorithm guarantees termination in the presence of stopping failures within polynomial expected time. Processes proceed through possibly unboundedly many rounds; at each round, they read the status of all other processes and attempt to agree. Each attempt involves a distributed random walk: when processes disagree, a shared coin-flipping protocol is used to decide their next preferred value. Achieving polynomial expected time depends on the probability that all processes draw the same value being above an appropriate bound. For the non-probabilistic part of the algorithm, we use the proof assistant Cadence SMV to prove validity and agreement for all N and for all rounds. The coin-flipping protocol is verified using the probabilistic model checker PRISM. For a finite number of processes (up to 10) we automatically calculate the minimum probability of the processes drawing the same value. The correctness of the full protocol follows from the separately proved properties. This is the first time a complex randomized distributed algorithm has been mechanically verified.